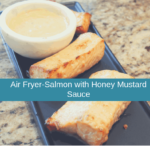 Today, I am bringing you salmon, which I did not eat, until my mother in law made it for me one fine day, but today it is air fried, and it is delicious, it is easy to prepare and it goes great with the homemade honey mustard sauce. 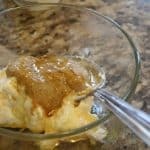 Which, you only need a few ingredients, which are probably in your pantry. I promise y9ou, that once you make this, you will be making it over and over again. 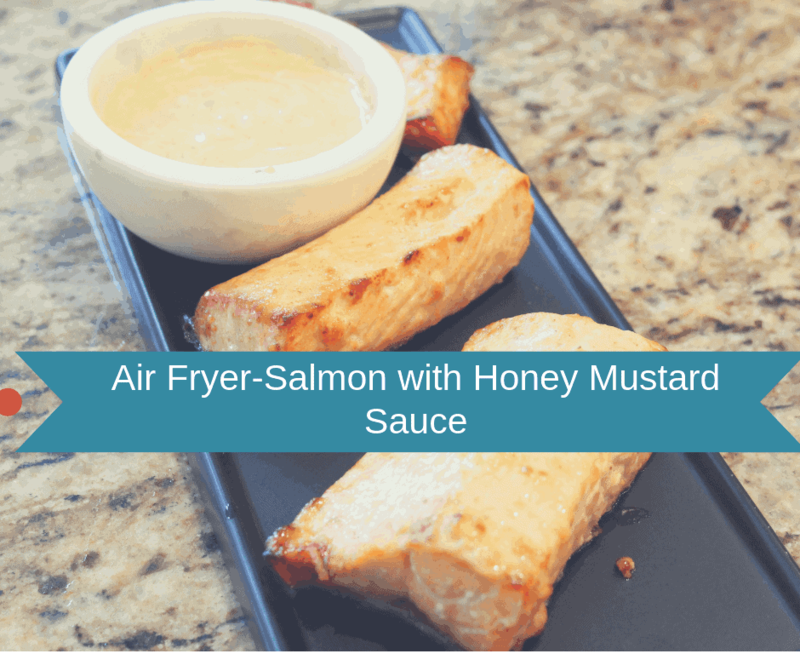 This is a lovely and light refreshing meal, made quickly in the air fryer. Serve it up for a quick lunch or a great supper. 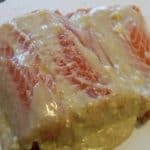 Start with a piece of salmon fillet. 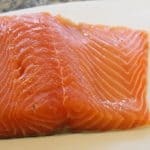 Cut it into pieces, the number of pieces will depend on how large your salmon piece is. And how many you are cooking for. Then gather all of your ingredients. 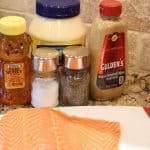 In a small mixing bowl, mix together the mayo, honey, Dijon mustard, salt, and pepper. Reserve the rest for a dipping sauce. Spread the mixture over the salmon fillets. 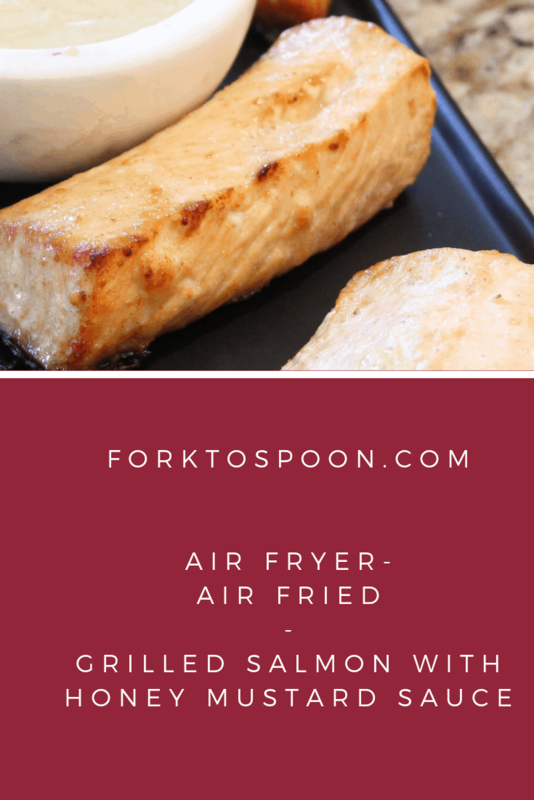 Place salmon fillets in a sprayed air fryer basket. 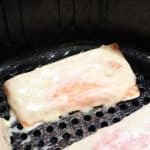 Cook at 350 degrees F, for 9 minutes. 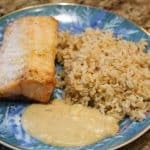 If you have thicker salmon fillets or would like them cooked longer, just adjust the time. 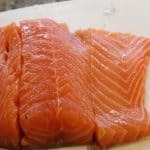 Per the USDA chart salmon is safe to eat at 145 degrees F.
Remove from the air fryer. Serve with a side of the sauce. 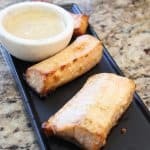 It makes an excellent dipping sauce.